As part of the “Kentucky Delegation,” a group of four current and former Louisville government officials on its way to Capitol Hill to meet legislators, Steven Michael, historic property developer with Hudson Holdings, one of the nation’s largest historic property development companies, joins more than 250 of the country’s top historic property preservationists in Washington, D.C. to promote preservation-positive legislation and advocate the need to maintain the Historic Tax Credit. Michael, a former member of the Chicago Board of Trade, the Chicago Mercantile Exchanges and the Mid-American Exchange, where he sat on a number of member committees, began his real estate career in 1986. Today, Hudson’s current historic property development slate consists of 8 projects across the country, comprising more than 3.8 million square feet of space- from hotels, offices, retail, residential, office space, and includes mixed use adaptive hi-rise structures in downtown environments. Two Major Historic Adaptive Re-Use Projects in Louisville, Kentucky One such supporter of Steven Michael is Craig A. Potts, the Executive Director of the Kentucky Heritage Council and a State Historic Preservation Officer. Michael has two major historic property development projects underway in Louisville, Potts has intimate familiarity with both. The Republic Building, built in 1912, with more than 56,000 square feet of space is in the city’s Downtown Central Business District. The 11-story property is an “adaptive reuse” project that will be converted to a hotel at a cost of approximately $25 million. The neighboring Starks Building, also bought by Hudson Holdings, contains more than 400,000 square feet of mixed-used space. The 14-story building built in two phases, 1917 and 1923, has an estimated renovation cost of $120 million. 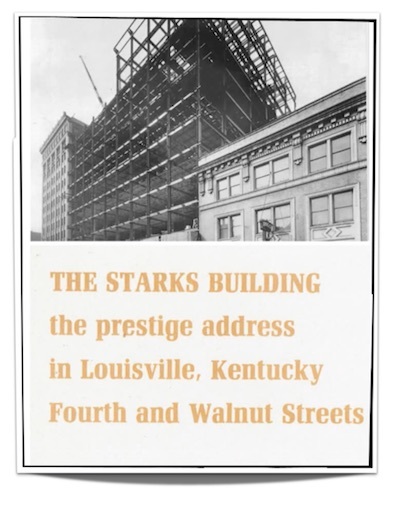 Steven Michael Testifies at the Kentucky Statehouse to Top State Officials Michael has been working contemporaneously for the past two years on these signature high-profile historic preservation properties in Louisville. The work set the stage for Michael to testify in August 2016 at Kentucky’s House of Representatives where Michael illuminated the importance of the Historic Tax Credit before members of the “Interim Committee on Appropriations and Revenue," that included the State’s Budget Director, John Chilton and Janice Tomes, Deputy Budget Director, for consideration as part of state's “Budget Review and Update for End of Fiscal Year 2015/2016.” Steven Michael: Meeting with Members of the United States Senate and U.S. Congress Michael is working with Potts, along with 3 other members of the "Kentucky Delegation," participating in the “Preservation Action” lobbying efforts taking place March 14 – 16, on Capitol Hill. 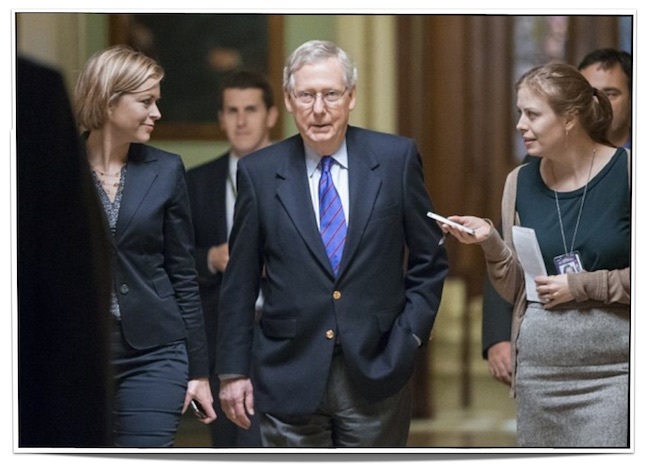 Michael is scheduled to meet with the Legislative Assistant to Senator Mitch McConnell, and with the following members of Congress and/or their aids - Rep. Andy Barr, Rep. Thomas Massie, Rep. John Yarmuth, Rep. Brett Guthrie, Rep. Hal Rogers, Rep. James Comer. 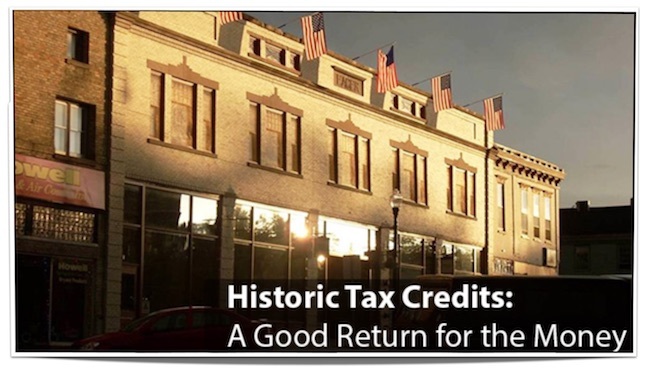 “It’s difficult to argue with or ignore the facts regarding the incredible value and importance of historic property development and the Historic Tax Credits that incentivize this type of development,” says Michael. Since the founding of the Historic Preservation Fund in 1976, the credit has helped the rehabilitation of more than 40,000 historic buildings, created more than 2.3 million jobs, and generated more than $28 billion in federal tax revenue from historic rehabilitation projects.